Dark and Lovely Beautiful Beginnings No Mistake Nourishing No Lye Creme Relaxer Perfect straightening: say goodbye to mixing and measuring errors! With patented no-mistake technology you get perfect measuring and easy mixing every time. 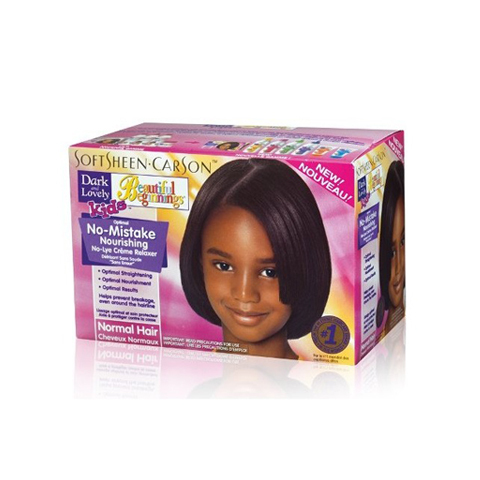 Kids get the perfect relaxer strength for their hair type and mothers get greater peace of mind.